Dropbox provides you free cloud storage with data backed up for the last one month. At the first time you enter the module, it will ask you to connect to your Dropbox account and grant permissions to upload backup files to there. 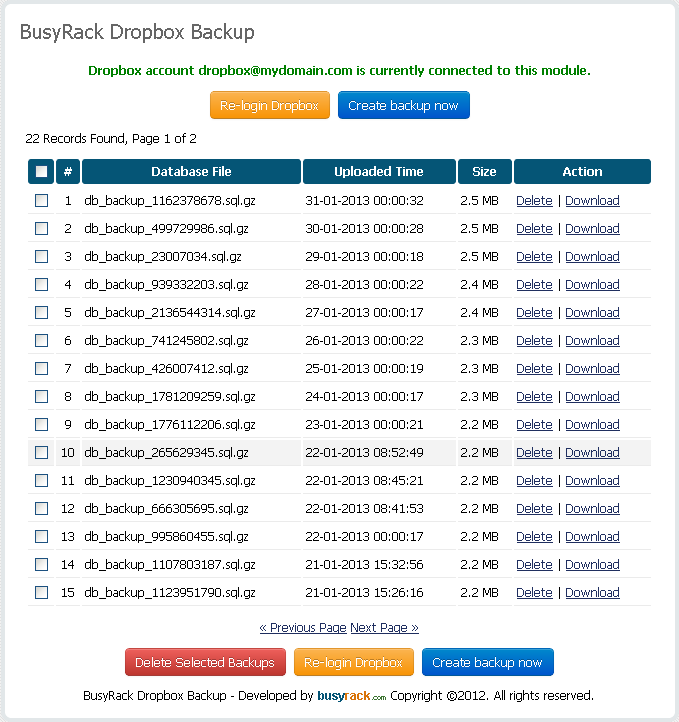 Once your Dropbox account is connected, you will be able to create backup of WHMCS database and upload to Dropbox with just one single click. I already sent a message to the support, but no return. Works exactly as described. I even went for the pro-upgrade to run the crons automatically every day. Easy to use as well. Connect seamlessly to a Dropbox account. Create a backup of WHMCS database in MySQL dump format. 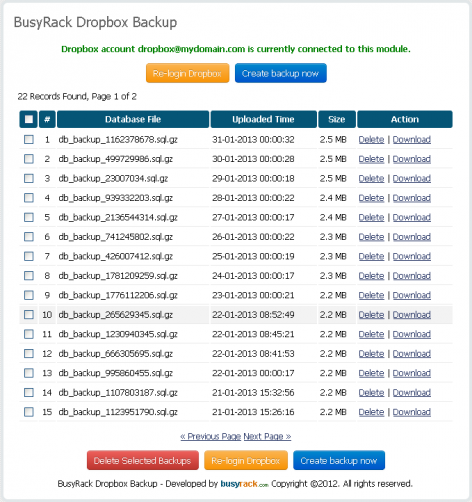 Upload the backup file directly to Dropbox. List all existing backup files. Email admin once backup is done. Automatically backup daily via CronJob. Check requirement for PDO MySQL.